AMD has launched the world’s first 8 and 12 core processors both from AMD Opteron 6000 Series Platform. The AMD Opteron 6000 series offers upto 88% more integer performance and 119% more floating point than any exisiting AMD processor. AMD also promises a 2.5 times improvement in Memory performance with four channels DDR3 slot. 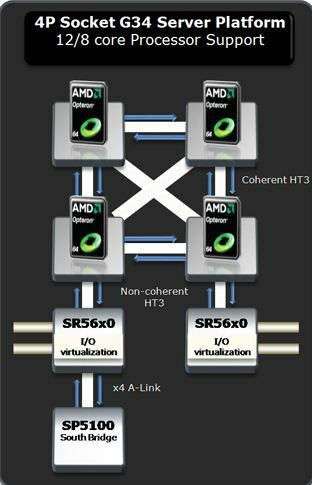 AMD has also announced that HP,Dell,Acer and others are launching servers with the 12 core processors in next few months. But the main advantage of AMD 12 core processors seems to be the price tag which is just half the price of Intel’s 6 core processors. You can visit AMD Opteron 6000’s official page here.